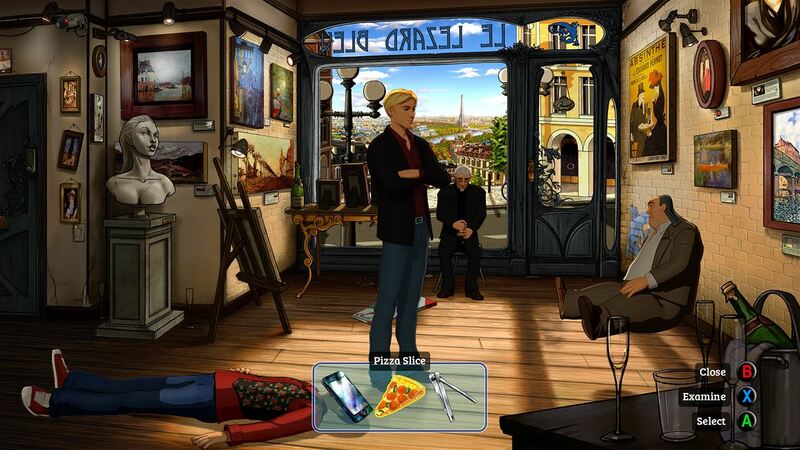 As a fan of point and click adventures, the Broken Sword franchise has provided me with many hours of puzzling entertainment over the years. So, it was with excitement that I anticipated the opportunity to play the fifth and latest installment from Revolution software: The Serpent’s Curse. 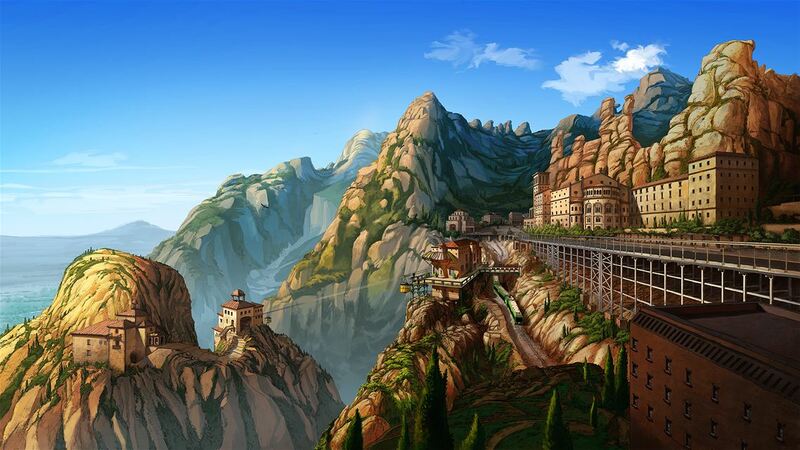 The game has all the features you would expect from a Broken Sword title; mystery and intrigue with a spattering of religious subtext and a well-developed sense of humour. Plus, a bit of romance from the ‘will they, won’t they?’ storyline of the two main protagonists. You play as American insurance broker George Stobbart and French Journalist Nicole ‘Nico’ Collard. The opportunity to play sections as both characters is intriguing as you actually do notice a difference in gameplay due to their different personalities and approach to puzzle solving; George is heroic but sometimes a bit slow on the uptake (or maybe this is just me), whilst Nico has a more pragmatic approach and often uses a bit of gaelic charm to persuade people to assist her. This mixture keeps things interesting and helps the plot to move along at a good pace. The story starts with the theft of a mysterious painting, ‘La Malediccio’ from a Paris art gallery. But soon you find out that this seemingly straight-forward investigation is more than it seems as you uncover a conspiracy surrounding an ancient religion – gnosticism. 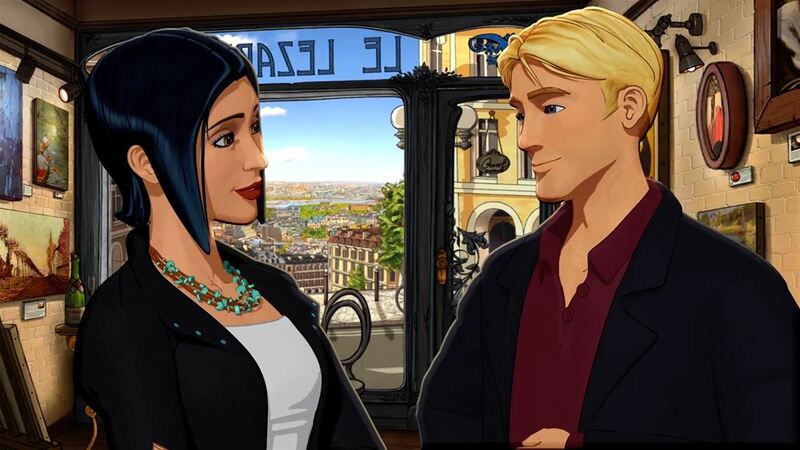 If you have every played any other Broken Sword game, or indeed read a Dan Brown novel, the subsequent romp following clues based on religious iconography will be familiar to you. I really enjoyed seeing the sights of Paris, London and Catalonia portrayed in the animated 2D style. Throw in a few slightly stereotypical characters – a rude French waiter, threatening Russian oligarch and a Cockney thug and you don’t really need to leave the house to experience the riches Europe has to offer. The gameplay is pretty standard point and click fair. You can interact with a limited number of objects on the screen, examine them, pick them up (to store in your tardis-like pockets), or use them. Of course, you often find you can use or combine objects in a most bizarre way before you actually realise why, but this is part of the fun and George/Nico often recognise this with the dry sense of humour you come to expect from the Broken Sword franchise. The real star of Broken Sword 5: The Serpent’s Curse is the plot. Slow burning, with hidden layers and unexpected turns, it is similar to reading a good mystery novel. The characterisation is also fantastic, with a perfect script and excellent voice acting which I actually listened to more often than not, although there is the option to skip through it. It is easy to become immersed in the world it portrays and you can easily find yourself playing for much longer than you originally planned. A frustration that I often experience with adventure games are puzzles that just seem downright illogical. Although The Serpent’s Curse is not completely free of this, it isn’t an issue that ruins the game. The inclusion of a hint system greatly helps here and the fact that you are able to click through the hints to get increasingly detailed guidance helps to avoid the feeling that you are cheating by using them. In fact, quite often when I did resort to using the hints I realised that I had worked out the general gist correct but just needed a bit of a clue of how to get there, normally because I had overlooked a glaringly obvious object. I also liked the addition of smaller puzzles that intersperse the main challenge. Examples included solving anagrams, sorting out the electrical wiring of various devices and deciphering codes.These give a welcome change of gameplay as well as pace and the chance to fire up another part of the brain. Cameos from characters from previous games inject a bit of fun and is a knowing wink from the developers to Broken Sword fans. The odd in-joke as well reminds us that the developers appreciate their fans, which they should be thankful for as this game was partially funded by a Kickstarter. Every time you meet a new character a short biog appears in a section that you can reach from the main menu. Although reasonably interesting, I’m not sure why it is included as it doesn’t help with your progression in the game. The Serpent’s Curse is everything I was expecting and more. The only thing I will criticise is that it was far too short – I would have been happy to keep playing for a few more hours but all good things need to come to an end. Now all I need to do is wait for Broken Sword 6.